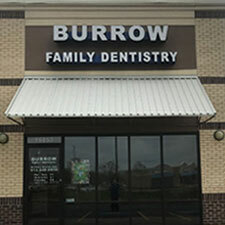 A visit to Burrow Family Dentistry will be an inviting experience for both you and your family. We provide quality dentistry for people of all ages and offer a wide range of dental services including preventive, restorative, and cosmetic dentistry. Using the latest technology, we will conduct a thorough examination and develop a treatment plan that fits your needs and those of your family. Wondering what our office is like? Click here to see a 'photo tour' We hope you will feel relaxed and at home from the first time you visit us! Open the first and third Friday of each month.